Lauren Graham at the Paleyfest 2013: Parenthood. Lauren Graham is an American actress and model. She is best known as playing the mom on the WB’s “Gilmore Girls”. Lauren graduated from college with a masters degree in acting. After graduating from college she moved to NYC where she was a waitress while trying to find her big break into acting. She starred in commercials for Dimetapp as well as Lean Cuisine. She had appearances in numerous television shows including “3rd Rock from the Sun” and “Townies”. In 2000, her big break came when she was cast as the mother, Lorelai, in WB’s “Gilmore Girls” which ran until 2008. Lauren has been in a relationship with actor Peter Krause since 2010. She splits her time between NYC and LA. She is a devout Catholic. You know her from "Gilmore Girls." 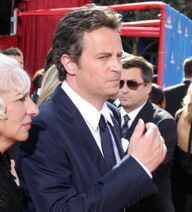 Photo taken at the Evan Almighty premiere. Lauren Graham is a famous American actress, who was born on March 16, 1967. As a person born on this date, Lauren Graham is listed in our database as the 6th most popular celebrity for the day (March 16) and the 51st most popular for the year (1967). People born on March 16 fall under the Zodiac sign of Pisces, the Fish. Lauren Graham is the 241st most popular Pisces. Aside from information specific to Lauren Graham's birthday, Lauren Graham is the 1718th most famous American and ranks 22nd in famous people born in Honolulu, Hawaii, U.S. In general, Lauren Graham ranks as the 3008th most popular famous person, and the 552nd most popular actress of all time. “The Famous Birthdays” catalogs over 25,000 famous people, everyone from actors to singers to scientists to serial killers and more. If you're curious to see who was born on your birthday, you can use our database to find out who, what, where, when and why. You can search by birthday, birthplace, claim to fame or any other information by typing in the search box, or simply browse our site by selecting the month, the day, the horoscope, or any other clickable option. 22nd born in Honolulu, Hawaii, U.S.